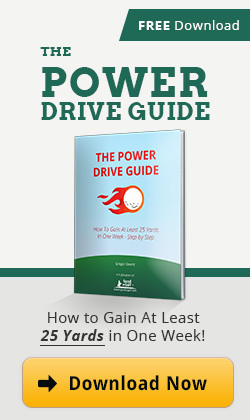 Consistency is key to shoot low scores and also one of the parts most golfers struggle with. Usually the root causes for inconsistency aren’t the tiny details in their swing people are tinkering with. Working on major body angles like the spine angle, shoulder turn and lower body can yield big rewards. 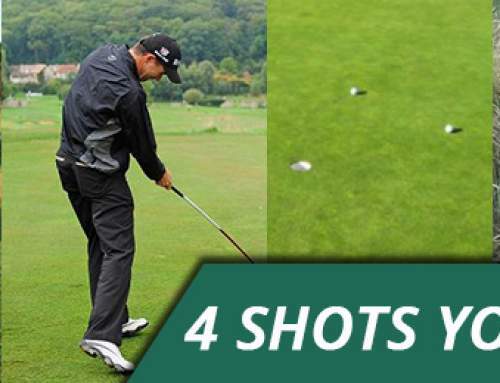 Here are five quick tips that might be new to you to make your golf swing more consistent. Try them and I bet you will hit the ball more solidly and straighter. Here’s Rory McIlroy as an example. Maximum torque but keeping his head relatively level with his eyes focused on the ball. This is one aspect most people never think about. But tilting your head during the backswing can cause a number of swing problems. 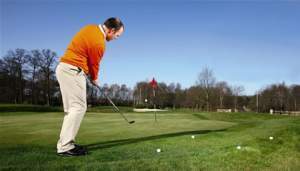 For example a headtilt to the left can lead to a steep swing that bottoms out early. 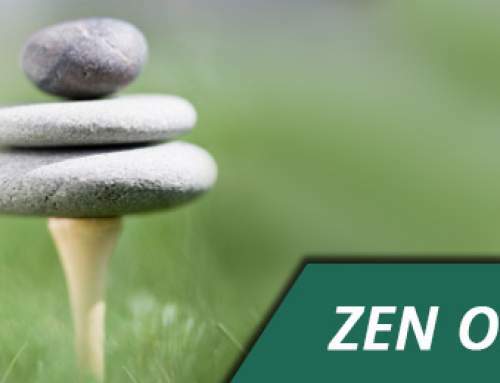 Keeping your eyes steady definitely helps you to stay balanced while you turn back. Without a doubt one of the most important things in the golf swing is the angle of approach of the club coming into the golf ball. To come into the ball with the right angle of approach you have to have the right angle of your body and the right plane of your swing. A more upright swing will hit down more. A flatter swing will tend to sweep the ball more. One of the aspects that affects your angle of approach is your head position. And a common mistake many people do is tilting their head too much in their backswing to make room for their shoulder. This leads to a sharp angle when they are looking at the golf ball. This perspective has to be processed and acommodated for during the downswing. So you want to keep your eyes as level as possible. You can use the brim of your cap as a guideline when you practice. This way you have a proper chance to return the club into the ball at the proper angle. In this swing sequence of Phil Mickelson you can see how he’s synching his upper body with his hands. He has a very classical swing so he stays behind his lower body throughout the swing. If you keep your hands in unison with your upper body the back of your lead hand should point towards the target throughout the hit. If you throw or twist your hands out of synch to manipulate the shot shape you will hit less consistent. The timing will simply be off more often than not. Try to keep your hands in front of your body throughout the swing. If you think you can’t turn as far this way – don’t. A ball that lands on the fairway beats a ball that went 30 yards farther but is out of bounds any day. Here you can see how Tiger Woods keeps his spine angle throughout the swing. Even in his finish position his spine is almost at the same angle it was at setup. Consistency of your strike has also a lot to do with how stable you can keep your upper body throughout your swing (angle, tilt and lateral movement). This adds to the idea of keeping your eyes as level as possible. You always want to simplify your swing as much as possible. If the spine angle is distinctively different from setup to the impact position something went wrong. When you setup to the golf ball you have a certain amount of bend forward from your hips. The idea is that you want to keep that bend throughout the whole swing. What a lot of people do, though, is that they turn back they keep their bend but turning into the ball they come up out of their posture. Usually their lower body comes into the ball and their upper body comes up away from the golf ball. Try to keep the bend you have at your hips throughout the whole swing – back and through. If you try to force anything in golf the outcome is usually disastrous. This is especially true if people try to gain speed by snatching their club back and down through their swing. To find your best tempo, grip your club light. On a scale of one to ten (ten being a very firm grip), try to grip the club with a pressure of three. But the big key long term should be to synchronize your swing. What I mean by that is that you want to finish the turn of your body and the swing of your arms at the same time during your backswing. People who have their swing out of synch usually jerk the club back without completing the turn of their shoulders and upper body. Always try to synchronize the inside part of your swing (your torso / upper body) with your outside part of your swing (your hands arms and the club). One of the best examples for a smooth swing is Fred Couples in my opinion. If you learn to do that you have great momentum to get into the downswing and all the speed you need. Swing smooth, synch your swing and grip it light! Whenever you get out to practice spend some of your time on your short game. Always! Well, that’s the part nobody wants to hear. 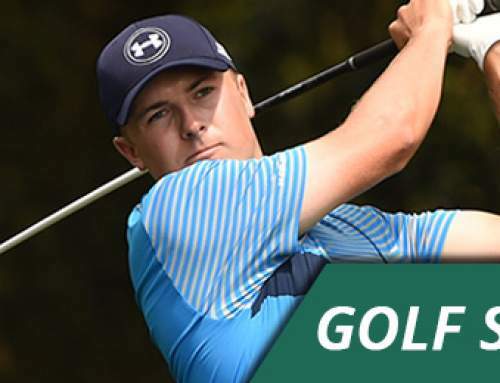 Even the best players in the world don’t hit the green every time. When things go wrong it’s their phenomenal short game that saves the day. If consistency means lower scores to you, you need to be effective from 30 yards into the green. That means no two-chips and no three-putts. With those two aspects handled alone some amateur players could save 8 to 10 strokes each round easily. 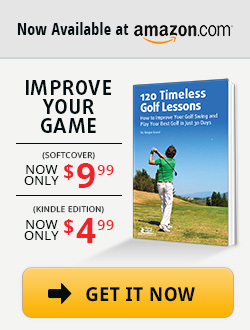 Practice your putting, practice your chipping and shoot lower scores more consistently. What do you do to be more consistent? Let me know in the comments section below and don’t forget to share the article on facebook or twitter if you think it is worth a read.